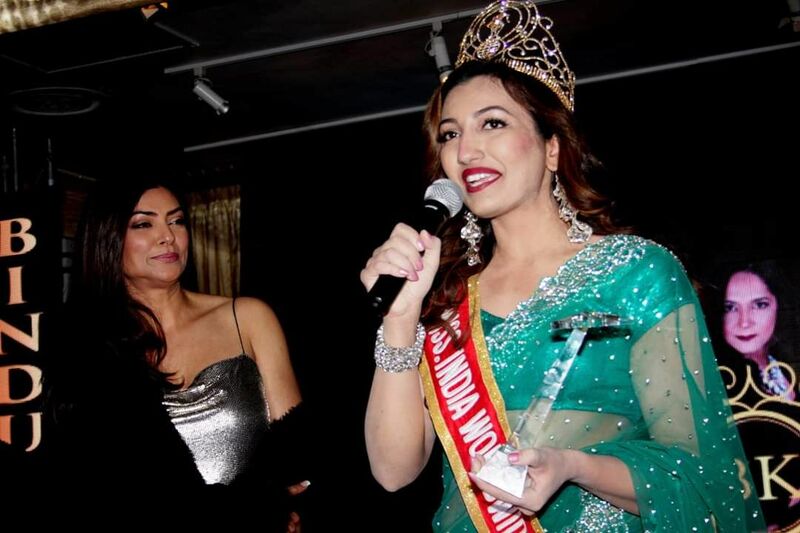 Miss Universe 1994 Sushmita Sen honoured Miss India Worldwide Shree Saini with ...Women Hero award at the South Asian Women Empowerment Gala function held at New York last night. 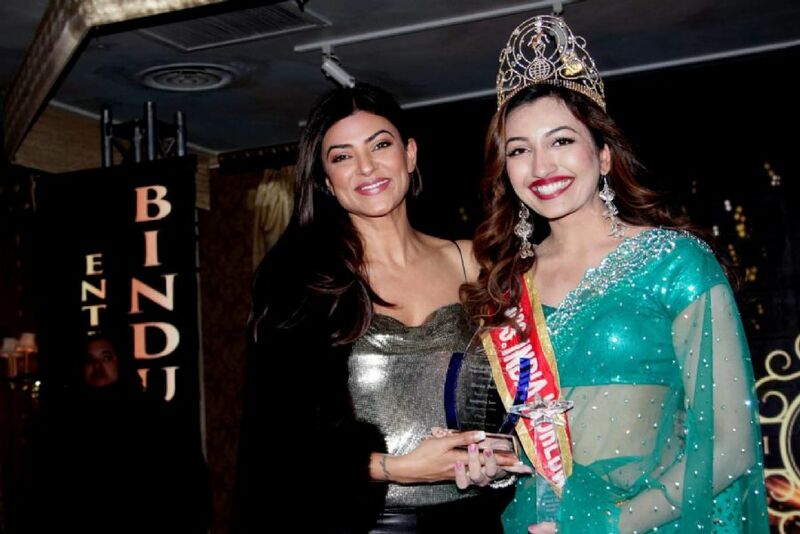 Sushmita Sen, Bollywood sensation, Chief Guest of the programme, welcomed the Warrior Queen, Miss India Worldwide, Shree Saini on the stage during the grand Show. 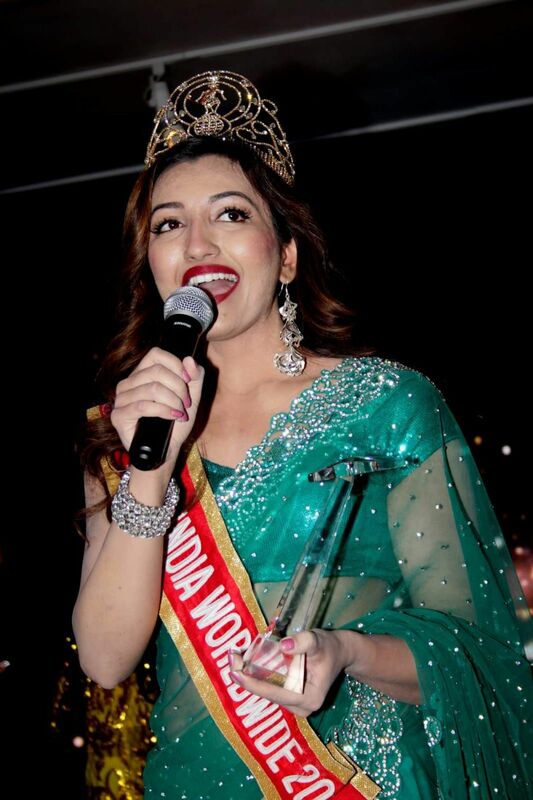 The capacity house audience rose to their feet to applauded Miss Saini who told everyone present that she was off to Johannesburg for the Miss India Gauteng Pageant and declared, ...Pageantry improves the lives and confidence of women throughout the world. Same like Shree, Sushmita Sen was also honoured with citation by Joshua A. Lafazan, Legislator for the 18th District of the Nassau County Legislature. Notably Sushmita emerged as youngest girl who was selected as Miss India in 1994. She created history after a few days in May 1994 as the first Indian to win the coveted title and was crowned as the 43rd Miss Universe. Other distinguished women who were honoured on the occasion include Urmil ...Tracy Marshal, Sangeeta Mudnal and Dr Uzma Syed. Photography was monitored by Ram Ramkarram from George Town Guyana; Bindu Kohli was director of the show. Miss India Worldwide founder and President Dharmatma Saran were among the dignitaries who graced the event with their gracious presence. Shree Saini presented a trophy to Bindu Kohli, celebrity director who had won appreciation from different quarters for her contribution in women empowerment. The citation presented to Shree Saini read, "In recognition of your service to the community, neighbours and families; And in recognition of your leadership and dedication to enriching the lives of others, I, Joshua A. Lafazan, Nassau County Legislator recognise, honour and congratulate Shree Saini."